Being one of the well-distinguished companies in the market, we are offering Gift Packaging Thermocol Box. 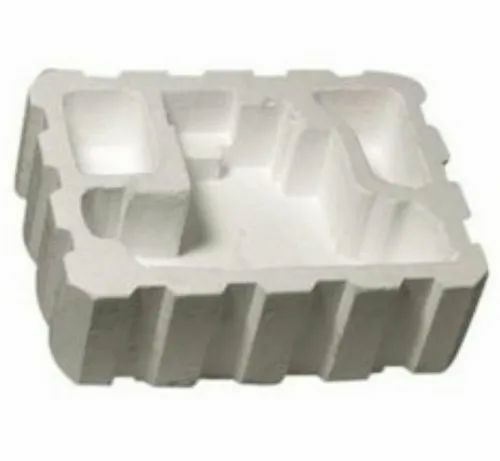 We have gained a remarkable position in the market that is involved in offering Handmade Thermocol Packaging Material. In order to keep pace with the never-ending demands of customers, we are involved in offering a wide range of Moulded Thermocol Box. “Style Homez Incorporation”, started its business in the year 2012, at Faridabad (Haryana, India) as the leading manufacturer, exporter, trader and supplier of a comprehensive range of Bean Bags, Loungers, etc. These products are manufactured by our experienced professionals, keeping in mind the demands and specifications of clients. Premium quality raw material is used to manufacture these bags that we procure from the certified vendors of the industry. Large support of the clients is acquired by consistently making quality delivery of products in the market. We have maintained transparency in our entire business dealings that enables us to acquire a huge support and trust of the clients. At the same time, our experienced quality analysts keep their strict vigil on the entire process till the final delivery of consignments in the market.